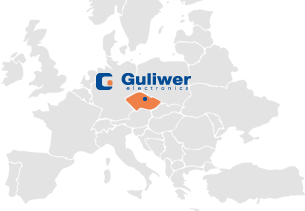 Guliwer electronics s.r.o. 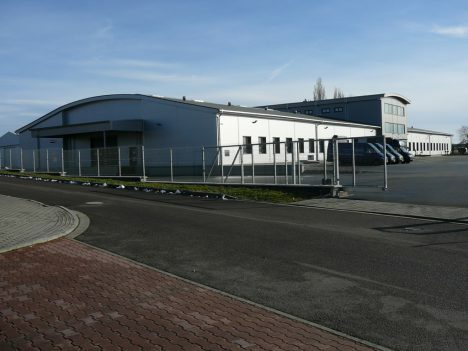 company was created in 2003 by the purchase of part of the liquidated TESLA Lanškroun company and followed up on its production program which has changed fundamentally since then. Today it is made up especially of automatic sanitary technology and level meters – their development and subsequent production started in 2005, today it is the decisive part of the production program. Their most frequent application is a fuel gauge for demanding operating conditions – tractors, construction and agricultural machines and also trucks or buses. In addition, the company produces a range of products or subassemblies according to customer requirements, for example various sensors, cable harnesses, mounting of printed circuits, moulding by pouring etc, but also hot-water heating, most often of tanks with AdBlue. Their most frequent application is in fuel measurement by fuel sensors. Today we produce several series of those products. All manufactured types are, however, products of customer input, and, subsequently, any new request by customer is processed by us exactly along the specifications – essential mechanical design, length of zone of measurement, electrical parameters, way of conversion of fuel height into electrical signal, sensitivity of reading the level (distinction), way of connecting the signal (connector) etc. We also provide some fuel gauges with a suction or return piping including essential filtration of fuel. Our level sensors can measure also other media – water, oil, brake fluid, AdBlue etc. They reliably resist these media. They are manufactured from high quality materials, that secure, in connection with a suitable design, a high endurance and application under extreme conditions. Their main advantage is a long-term resistivity to increased mechanical stress, which occurs namely in construction machines, tractors etc. By these features, they are far superior to conventional fuel sensors.